Good morning, it's Renee from Fantastic First Grade Froggies. I am always on the lookout for a quick and easy way to let the parents of my students know that they did a great job. 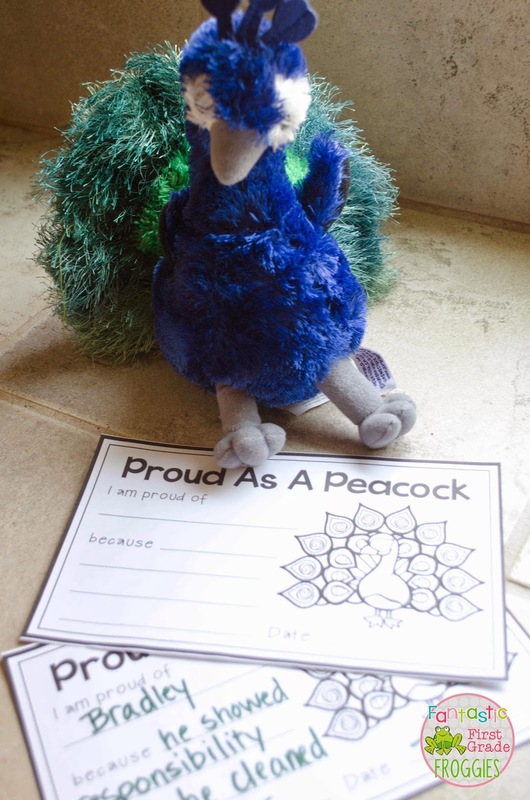 Years ago, I had these cute little proud as a peacock forms that my kids loved to get. The master copy has since been lost, so I decided to make a new one. 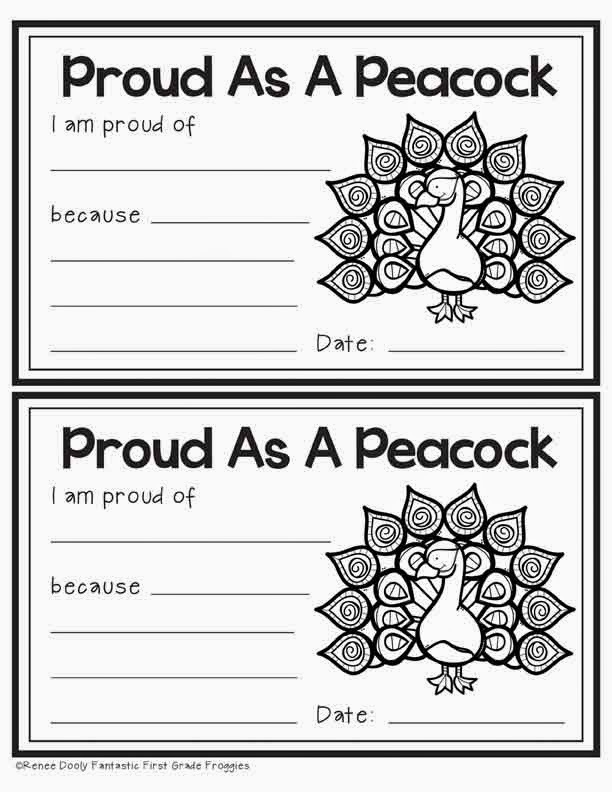 It's simple, you fill out why you are proud of that child and send it home. Easy peasy, lemon squeezy! 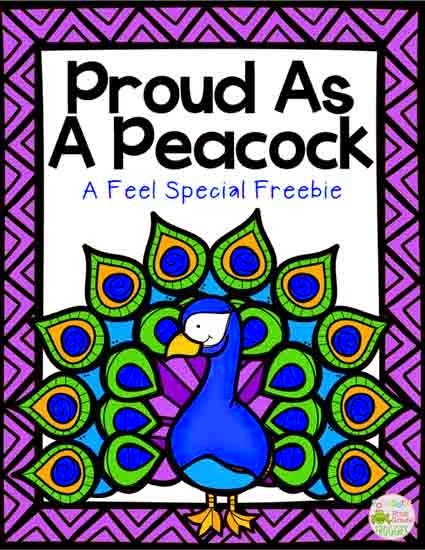 Here is a cute peacock I found to place in my room with copies of the proud as a peacock form. Would you like one? Click below to grab yours (I made a color and blackline version), click the picture below. Make those kiddos feel proud! Thanks for stopping by! I'll be back month.